As a kid in school we would go on tours the lookout tower because we lived near there and went up to the tower on that balcony that you see in this picture. At the time of construction there were no other bouilding. The sentinal could see the whole bay of Maldonado Uruguay. 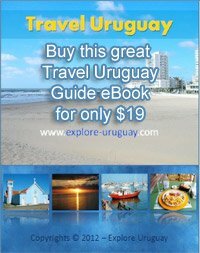 Years ago you can not go to the balcony except on some occasions such as Uruguay heritage day. From the Torre De Vigia or The Watchtower were controlled the entrance to the bay of Maldonado and could see all foreign vessels. During the early days of my childhood there were no buildings and as a young boy I could see everything. 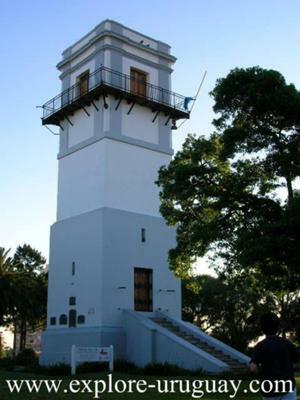 Now, bear in mind that the actual port of Maldonado was located one 1km away fom this watch tower, the Torre De Vigia. In front of the port of Maldonado was a stream that ran through Maldonado and ended at the beach and it was such fresh water when they got there, ships would collect and carry this fresh water port for their overseas travel. From this Tourist attraction and historical building were controlled the arrival of the ships and were protected by a battery of cannons nearby that prevented enemy ships from entering this strategic place.